Although there are examples of a few early antique rocking chairs in England, they were not commonly made and used in England or America until the mid 18th century. 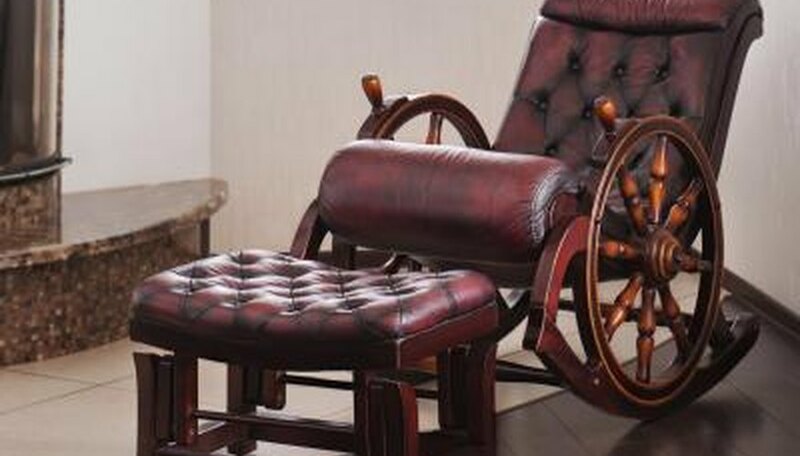 An antique rocking chair is one that is more than 100 years old. Therefore, antique rocking chairs date from the 18th, 19th and early 20th centuries. To identify the country of origin, style and date, examine all aspects of the chair and compare that information to find similar chairs with known historical information. 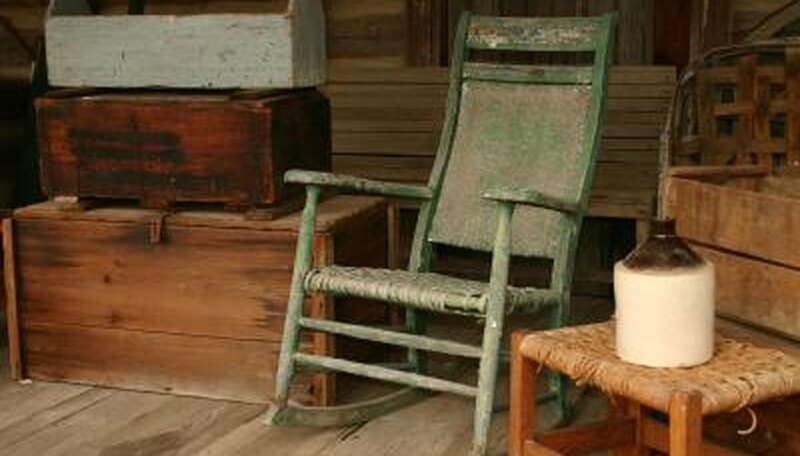 Identify any exact details you might have about your antique rocking chair. This might include finding a label under the seat or a bill of sale, or having a verbal comment as to when it was purchased or received as a gift. This information is extremely helpful for dating antique furniture, but it is often not available. Examine your antique rocking chair carefully. Gather information about how it was made. Consider the type of wood the rocker made from, how the joints are connected, and whether the finish is shellac, varnish, lacquer, paint or wax. These clues help determine where and when it was made. Chairs that have nails with uneven heads are older than chairs that might use machine-made nails from the 19th or 20th centuries. Maple and cherry furniture are usually American. In England, 19th century Windsor chairs were usually unfinished and waxed, whereas in America, Windsor chairs were usually painted. Varnish and lacquer were not used until about 1860. Before that, shellac was the surface finish. 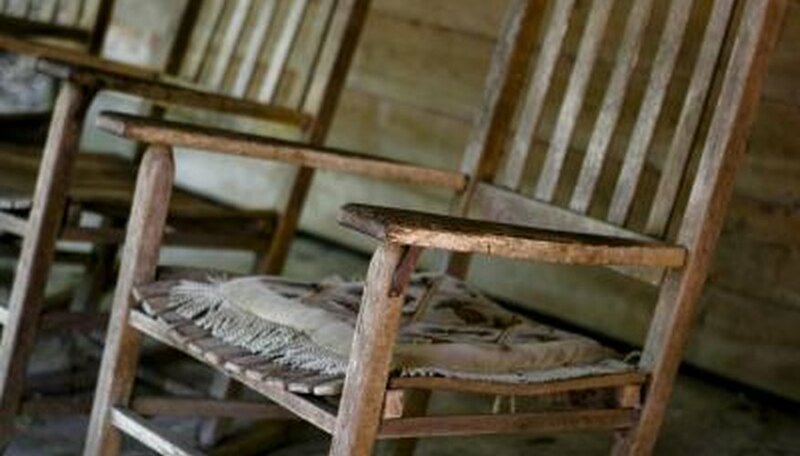 Think about the overall design of your antique rocking chair. Consider if the overall shape is heavy or light. Decide if the decoration on your antique chair is floral or geometric and if the decoration is low relief or high relief. Early Neoclassical chairs, made in America from about 1780 to 1800, were lightweight, mostly straight lines, with low relief and inlaid decoration. In contrast, a Victorian chair from the 1860s is heavy, curvilinear, with high-relief carving. Gather together all of your notes and begin searching for antique rocking chairs similar to yours. Begin with antique furniture history books. 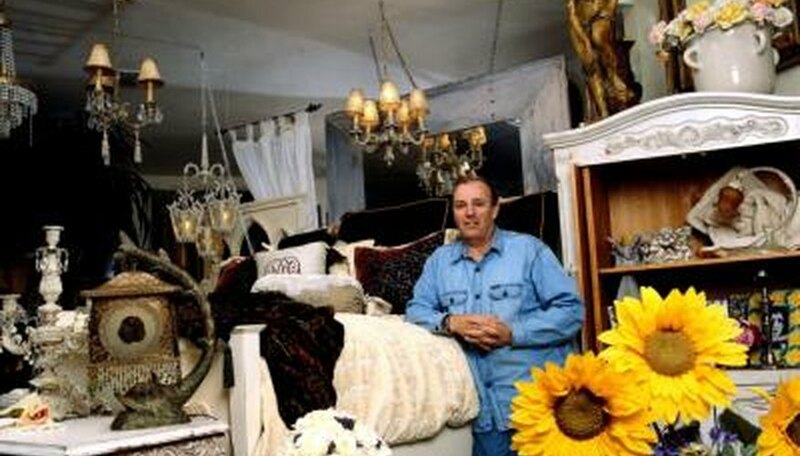 After that, use other furniture identification resources such as antique shops and online antique malls. Antique exhibits, often held as fundraisers for various nonprofits, also are filled with learning opportunities. Furniture from many time periods is displayed and exhibitors often are pleased to share their knowledge with another antique enthusiast.